Send Ramadan Mubarak Wishes to your loved ones , looking inside all of the birthday cards to find the right one, prefer to send an e-Card to your friend on his or her special day, or even like making your own, there are many different ways you can make a message that is just the right to wish well for your friend. Here are some ideas to get you started. Welcome the crescent moonlight As it hangs above in the night That Allah will strengthen your faith Surely it’ll bring blessing in your fate. Ramadan Mubarak! Though we sow some striving. Allah will turn this into blessing. It’s a month of fruitful sacrifice Ramadan brings rewards into our lives. Ramadan Mubarak! 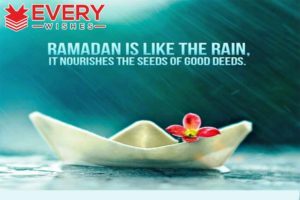 The Qur’an reveals that Ramadan serves as guidance to mankind. To glorify Allah in the midst of everything. Giving thanksgiving to him who blesses your way. Ramadan Mubarak! It’s a time of reflection. It’s a moment of purification. Allah sees all things. And rewards greatly. Ramadan Mubarak! May your days be glad Peace and joy to add It’s a long month journey But filled with felicity. Wishing you a happy Ramadan. Qur’an reminds us that we have to stay pure before the throne of Allah. As Ramadan is fast approaching, Let’s prepare our hearts and minds that We may be united spiritually with the almighty one. Ramadan Mubarak! As the Qur’an is recited during the Ramadan season, I pray that our hearts and minds agree to what we read and practice it in our lives. It’s the doing that counts, not just mere utterance. Ramadan Kareem! Often we neglect the value of prayer and fasting during Ramadan. If we truly want to honor Allah, Our hearts will be wholeheartedly committed to it. Ramadan Kareem! Ramadan is more than just a tradition or a religious practice. It’s an act of worship towards Allah and the teachings of Qur’an. Ramadan Kareem! As we bow in humility, prayers and thanksgiving May we find real and long lasting blessing Ramadan Kareem! A Muslim’s heart and soul Is given to the one who sees it all To bless every knee in fervent prayer and sacrifice Of rewards folded a hundred times. Happy Ramadan. Ramadan Kareem! Ramadan calls for humility and submission to Allah, the almighty. Blessings, favor, peace and joy are on the way. Ramadan Kareem! Yet again, the time has come to ask forgiveness for the wrongdoings and sins. It’s time we pray and consider our actions to others. This is one of the times where we give our abundance To the ones who need it most. May Allah guide us all. May you have a solemn and peaceful celebration of Ramadan. May the divine graces of Allah be on you. Even if all the ink in this world is the sea Plus the water from the lakes and rivers, The words of Allah will not be drained; For Allah is vast in ability and insight. Here is Allah, the one God, the designer, the maker. All the most beautiful names belong to Him. He is the most great and most sensible. Happy Ramadan! You cannot count all the blessing that Allah has given you, you will run out of numbers to recall them. But I am grateful to Allah for giving me a friend like you. A blessed Ramadan to you. Allow this month to be the time of forgiveness and repenting. Repent all the sins and the mistakes you’ve done. Have a blessed Ramadan. May the greatness of Allah fulfill your desires and dreams, With happiness and peace around you. This month is full of blessing and wisdom. Ask all your desires to Allah and he will listen, Because you’re a wonderful person and I’m glad to have met you. Happy Ramadan! Let us commemorate the teachings of Quran on this celebration, Clear our ways and ask for forgiveness. Be a blessing to each and everyone. Wishing that Allah may give you all the desires in your heart. Happy Ramadan! May Allah shower your family with love, Peace and togetherness in this holy celebration. All the great things and blessings may come in your way. Whether great and small are being wished for you. Eid Mubarak! I pray for your continuous abundance in life, satisfaction and joy. May all of these will be grant to you, for you are a great brother I treasure. A blessed Ramadan to you! May the great Allah shower your path with light and knowledge. May this month be an enlightening celebration to all of us. As you feast on your Iftar, I pray nothing but good health and prosperity in your family and friends. May you share it with love on your loved ones. Our precious greetings and wishes on your celebration of Ramadan. May He bless you and your family with strength and prosperity. We wish you a warm and bright spirit on your Ramadan occasion. For Allah, the great maker, will bring us joy and peace on this holiday. Ramadan Kareem! May this month be a reminder to forgive and forget all the bad things. May this month be your guide and courage to start anew. Happy Ramadan. May Allah bestow all the good and pureness in your heart this month. Be the good role model of every brothers and sisters. Happy Ramadan. May you be blessed with love, good health and security As you celebrate the holy month of Ramadan. I pray for your good celebration of Ramadan, nothing but peace and harmony are being wished to you and the rest of your family. Let the goodness of Allah shine upon you. A blessed Ramadan to everyone in your family. May this month be favorable to you and all your wishes come true. May all the goodness shine in your home. All the good things and blessings are being wished for your and your loved ones. May you have a fruitful month celebrating Ramadan. In this holy month of Ramadan, May all the good things come in your way. May you have all the desires in your heart to come true. Good health and success may bestow upon you. Happy Ramadan. A fruitful and blissful month to you and your family. Eid Mubarak. May this month filled with love and union in your family. May all the wishes and prayers will be answered. May the essence of Ramadan gives you peace And love to share to the entire Muslim community. A blessed Ramadan to you. All the prayers by a great person like you will be heard and accepted. Eid Mubarak. May this holy celebration reigns as a sign of peace and harmony. May this be the perfect example of peaceful way of living. Happy Ramadan! I wish you all the best in your health as you celebrate Ramadan. May all the desires in your heart be answered in no time. I wish nothing but the best to a good brother like you. 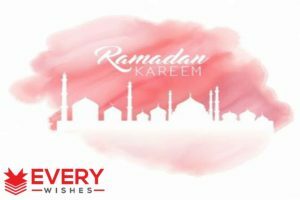 May you and your family receive all the good things in this holy month of Ramadan. Ramadan Kareem! Wishing you a happy Eid Mubarak. With pure joy and happiness together with your family. May you’ll be blessed with all the good things that a man could ever ask for. Lift all your wishes to Allah and He will accept it. I ask Allah to guide you and your family all the time as you celebrate Ramadan. May you all be together with love and unity. Allah will answer the prayers from a pure and clear heart like yours. Happy Ramadan! As you celebrate Ramadan, I wish that all your good intentions will be heard. May your home be filled with love and blessings. May the spirit of this celebration fill each and everyone. May all the prayers you have be answered. May all the goodness in life come to you and your family. Happy Ramadan and may you all have the good health. May this occasion filled with love, unity and understanding To the rest of the community. May you be at your best health. We wish you a happy and peaceful Ramadan. May all the activities be successful and meaningful. As you feast on your Iftar, May you have all the comfort and security To continue each day with strength and good health. As the day ends, may you feast with healthy foods and harmonious celebration to keep you more fit in the next day. Ramadan Mubarak! The rest of my family wishes you a happy and blessed Ramadan. May all the prayers in heart come true. May you be at your best health as you celebrate Ramadan. All the good prayers are with you. I wish you and your family a peaceful Ramadan. All the goodness wishes are with you. May you continue to be a blessing to each and everyone. may you find your peace and happiness. Have a peaceful and happy Ramadan 2017! Happy Ramadan Mubarak Mubarak to everyone. May you all have a very happy and blessed Ramadan Mubarak. Enjoy these amazing days and remember those who need our help. To bring you good fortune and prosperity. Happy Ramadan 2017! may the crescent-shaped moon brighten your path toward enlightenment and may Allah bless you with peace and grace. Wishing you a Happy Ramadan 2017! Enjoy every purifying moment of Ramadan! Be blessed! let light brighten up the world and grow hope to every Muslim’s heart. Happy Ramadan 2017! I’m wishing you 4 weeks of blessings, 30 days of clemency, and 720 hours of enlightenment. Happy Ramadan 2017! to the path of success, happiness, peace and prosperity. May Allah bless your good heart! upon commemorating the month of Ramadan. Wishing you a blessed and happy Ramadan 2017! bring you happiness and prosperity for all your life. Have a blessed one! conquer your life as you celebrate this holy month of Ramadan. Have a blessed and peaceful Ramadan 2017! Celebrate and enjoy as once again, we will be given a chance to repent and ask for forgiveness for our sins and be forgiven. Ramadan Mubarak 2017! illuminate our soul from within. Happy Ramadan 2017! Whose beginning is Mercy, Whose middle is Forgiveness, Whose end is Freedom from Fire. Ramadan Mubarak 2017! chase away the depression and misery that is getting the best out of you.} Happy Ramadan! 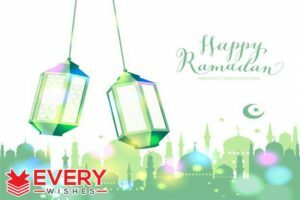 be the harbinger of your prosperity, success, harmony, peace and joy in your life… Ramadan Mubarak 2017! On the holy month of Ramadan. Celebrate and be blessed! A month to repent from our wrong-doings and sin. May all of us find peace on this Ramadan. 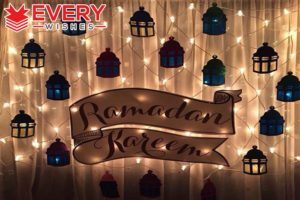 Happy Ramadan Kareem 2017! we experience from our one and only God. Happy Ramadan 2017! prosperous life throughout the year. Happy Ramadan 2017! this Ramadan, may He enlighten your heart and soul. Ramadan Mubarak 2017! May the divine blessings of Allah protect and guide you.Happy Ramadan 2017. Wishing you more blessings this holy Ramadan. Ramadan Mubarak 2017! waiting for you to let it enter in your home. Happy Ramadan 2017! sending loads of prayers your way. Happy Ramadan 2017. Make this Ramadan the turning point in your life. Break free from the deceptions of this world and indulge into the sweetness of EEMAN. Three prayers are not rejected: the prayer of a father, the prayer of a fasting person, and the prayer of a traveler. The Prophet (Prayers and Peace of Allah be upon him) used to break his fast by ripe dates or dates (in the absence of dates) before praying. The Prophet SAW said: When the month of Ramadan starts, the gates of the heaven are closed and the devils are chained. Ramadan is coming soon, we are waiting for the moon, the month of blessings, the month of forgiveness, the month full of mercy,god’s blessings in bounty . I can’t describe the inner peace, in this month of pure bliss oh Ramadan come soon we are waiting for your moon.